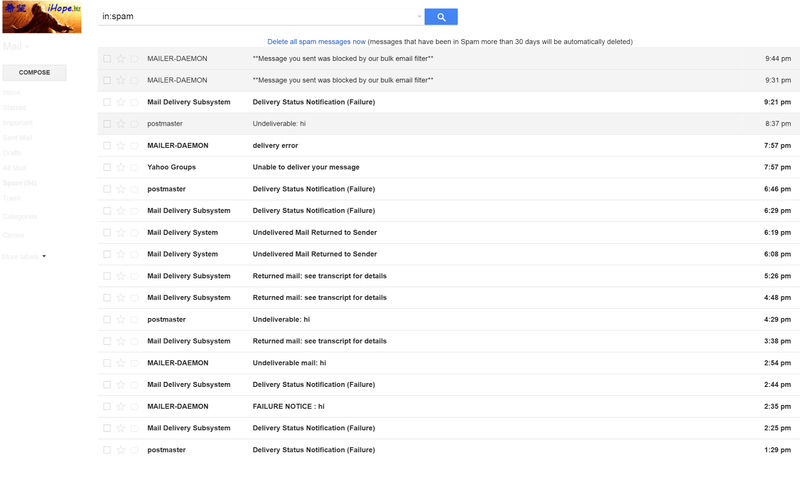 In the last two weeks, I got tons of emails delivered into the spam folder by the system, saying something like "Delivery to the following recipients failed permanently..." with titles like "Unable to deliver your message", "Delivery Status Notification (Failure)", etc. I realized some bad guy sent out tons of email scams with faked email ID's after checking these spams. Unfortunately, it is my domain- iHope.biz, that was chosen by that very bad guy. He generated tons of faked email ID's with my domain and tried to phish people with 2 attachments in the email. I am sorry for that; but I can do nothing as it is allowed by the protocol. I have to make a disclaimer here: I am not responsible for the scams that you received or are receiving with faked senders as xxxx@ihope.biz. Please do NOT click the attachments. I am also a victim to that. Look at my spam folder and you will know that for sure.